If we ask around these days, chances are, a lot of us are doing shopping online! And personally, I had been doing shopping online for quite a while – especially since the birth of my baby haha! I am especially thankful for online stores these days, since I am not able to shop for my own clothes after my baby arrived. And when I am not able to get to the mall on weekdays, I would probably be buying what I need online. Now, iPrice.sgis here, to make our online shopping experience even more convenient (if it hasn’t already!). There is an array of brands under iPrice, and this makes comparing of prices easy for us to score the best deal! I quite like the idea that I can find different brands and labels on iPrice, ranging from affordable brands to the high end luxury ones. You will be able to find Mango, River Island, Kate Spade, Michael Kors, Ted Baker, Marc Jacobs and more over at iPrice! It’s really a breeze shopping at iPrice, with all the categorizing they offer. 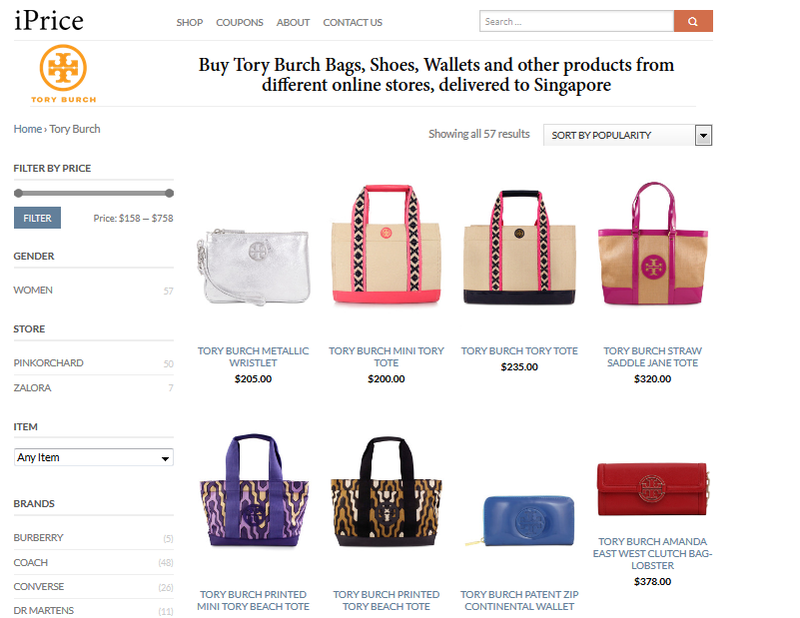 You can sort and shop according to brands, items and prices. So it’s like glancing through items from different stores at one go! If you like a particular item, all you need to do is to just click on it for purchase. iPrice will link you to the merchant site. 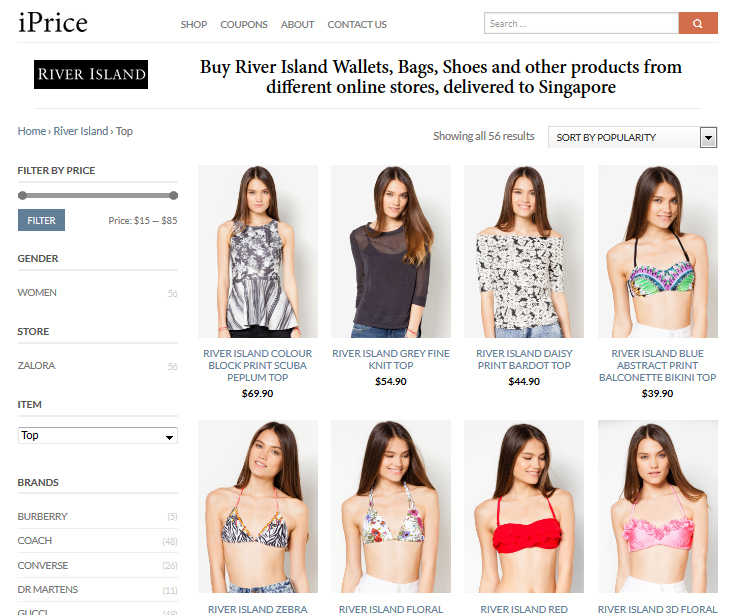 You’ll be happy to find that all merchants featured on iPrice ship to Singapore. In addition to all these shopping, iPrice has this coupon site that offers coupons (YAY to more savings!). 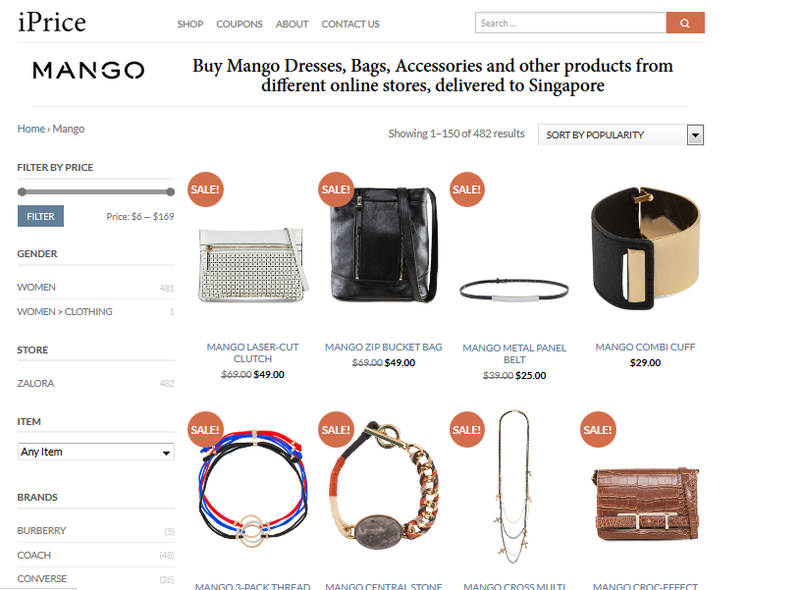 There are various merchants featured on iPrice coupon site, such as Zalora, RedMart, Hotels.com and Zuji Singapore. You can simply visit the coupon site, and view the coupons to see if any interest you! I am personally quite excited as I surf through the different coupons. 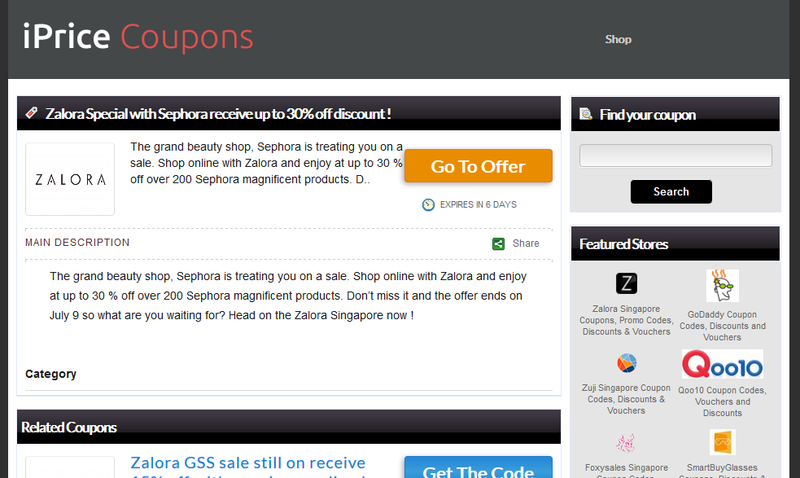 Though my favourite has got to be the Sephora’s coupon on Zalora! Hehehe. Disclaimer: No monetary compensation was received for this post. All views expressed are of my own. « Celebrate with Bosch this GSS!